Professional tools to save time, effort and lives! Earthquake or tornado, any disaster means damage and the need to search for survivors. 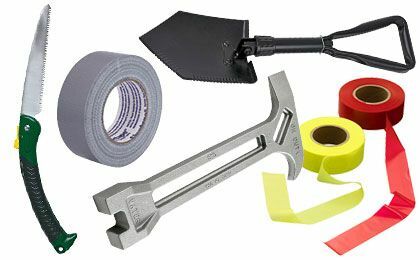 These professional grade tools give you the edge or leverage you need to move mountains of rubble to get help to those who need it most. Standard Flathead Screwdriver 6'' x 1/4"
Stansport Steel Pulley Hoist 220 Lbs. Heavy Duty Duct Tape - 9 mil - 2'' x 60 yds. Duct Tape 2'' x 10 yds.